It is with profound sadness that Christian Record Services for the Blind announces the passing of Dorothy Marston, retired services representative and wife of Christian Record call center representative Terry Marston. Dorothy passed away on Wednesday, January 10, 2017, surrounded by her family, after an extended illness. During her time at Christian Record, Dorothy visited businesses in Nebraska, Kansas, and South Dakota to raise awareness of the needs of this ministry that serves people who are blind and to solicit funds for the organization. Additionally, Dorothy worked closely with the members in her territory, visiting and praying with them in their homes, sharing and enrolling members for Christian Record’s reading services, and inviting them to attend camps through National Camps for Blind Children. Dorothy was known for her wry wit, continuous smile, and the fierce, compassionate love she had for Jesus, her family, friends, members, and co-workers. Funeral services for Dorothy were on Sunday, January 14, at the College View Seventh-day Adventist Church, with an inurnment planned for a later time in Minnesota. Christian Record Services for the Blind is excited to announce Jeri Lyn Rogge as the organization’s director of editorial and outreach ministries. Rogge, who served as Christian Record’s communication director since 2015 and in other positions of responsibility since 2013, will transition to this new role in early 2018. Rogge will be the senior magazine editor, producing publications in large print, braille, and audio for people who are legally blind in North America, Bermuda, and Guam-Micronesia. These magazines include Light, published in large print; Christian Record in braille, The Adult Sabbath School Bible Study Guides, formerly known as The Student, in braille and audio; The Children’s Friend in braille; and Encounter and Vantage Point, both of which are produced in audio. She will work with church pastors, disability ministry and special needs coordinators, and church members to discover methods and create resources whereby they may connect with people who are blind in their communities, befriend them, and encourage use of their gifts for active ministry. Additionally, Rogge will strengthen partnerships with youth and camp ministries leaders across North America to develop systems to boost attendance at National Camps for Blind Children. “We are excited Jeri Lyn has accepted these new responsibilities. She brings a wide variety of skills, creativity, and vision to enhance ministry with people who are blind,” said Diane Thurber, Christian Record president. Rogge will assume responsibilities currently provided by Bert Williams, who will retire in spring 2018. He has served as editorial director since 2005 and also as director of personal ministries since 2016. Christian Record Services, Inc., is celebrating the completion of its first year of ministry in its new headquarters location in South Lincoln’s Trade Center at 5900 South 58th Street, Suite M.
To mark the occasion, Christian Record invites friends, donors, and business partners to a come-and-go holiday open house on Thursday, December 14, from 1-5 p.m. No RSVP is required. Guests may enjoy a guided headquarters tour, given on the half-hour as space allows, followed by refreshments at The Space, located next door. Those planning to attend should first come to The Space to join a tour group. 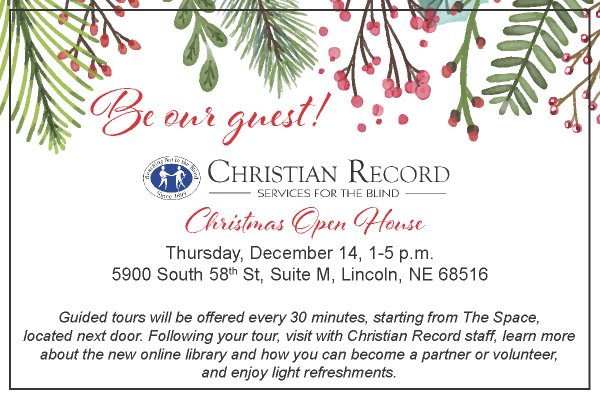 In ministry since 1899 and based in Lincoln since 1904, Christian Record provides free confidence-building reading services and summer and winter camp experiences to people who are blind. Approximately 20,000 people receive these services because of the generosity of individuals and business owners. To learn more, visit www.ChristianRecord.org or call 402-488-0981. A North Dakota native, Lonnie is an alumnus of Union College in Lincoln, Nebraska, and a graduate of Loma Linda University in Loma Linda, California. He has served as the Chief Accountant at Union College for the past seven years. Additionally, Lonnie contributes to the Lincoln community with his service on the Board of Directors for College View Academy, Lincoln SDA Credit Union, Good Neighbor Community Center, and College View Seventh-day Adventist Church. Lonnie will assume his responsibilities at Christian Record full-time on November 1, 2017. Lonnie is married to Bonnie Kreiter, who is also a North Dakota native, an alumnus of Union College, and a graduate of Loma Linda University. 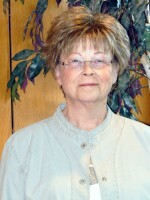 She currently serves as the rehabilitation services manager for Bryan Health in Lincoln. More About Christian Record Services, Inc.
For more than 117 years, Christian Record Services, Inc. has offered free programs and services to individuals who are legally blind. Funding for services is provided by generous donations from private individuals and businesses. To discover more about Christian Record’s free services, visit www.ChristianRecord.org or call 402-488-0981. 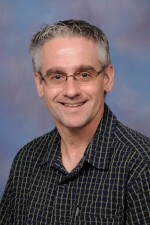 Photo information: Lonnie Kreiter; photo courtesy of Union College. On Wednesday, May 31, 2017, Christian Record Services, Inc. said goodbye to a former employee, Linda Martin, who passed away after an extended illness. During her time with Christian Record, Linda worked directly with people who called the organization to apply for free services. Members and co-workers appreciated Linda for her kindness, compassion, and dedication. Linda’s funeral will be Friday, June 2, at 2:00 pm at Piedmont Park Seventh-day Adventist Church, 4801 A Street, Lincoln, Nebraska. The Board of Directors of Christian Record Services, Inc. announced plans in early 2016 to restructure the organization and relocate to new headquarters in Lincoln. Christian Record moved in December 2016 to suites in south Lincoln, Nebraska, in the Trade Center, and is now located at 5900 South 58th Street, Suite M, approximately one mile south of the location the organization operated from since 1963. “Good things are happening at Christian Record,” said Daniel Jackson, president of the North American Division and chair of the Christian Record Board of Directors. “The Lord continues to have a plan and a place for this important work. God is opening doors of opportunity for church members in the North American Division to reach out to people who are blind. He has His hand on Christian Record, and I am eager to see Him grow and expand this ministry,” he said. For Christian Record, an institution of the North American Division that serves individuals who are blind or cannot hold a book, the new office supports an audiobook lending library, recording studio, and a correspondence Bible school. Plans call for a museum to be added soon. From the headquarters, large print, braille, and audio resources are produced to be mailed to approximately 20,000 members in nearly 80 countries. “The staff is in the process of finalizing strategic plans,” said Diane Thurber, Christian Record president. “These will include ways to equip church members with tools and resources to reach people who are blind, partner with Special Needs leaders at every level of the Church, and engage current members in ministry with potential members and sighted church members,” she said. Christian Record appreciates the many volunteers and business partners who helped during this transition. Plans are underway for an open house later this year. 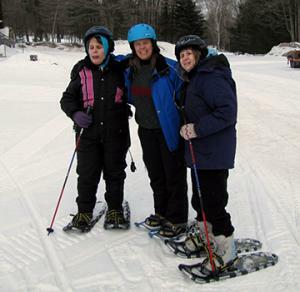 Nineteen blind camp participants from locations around the United States arrived at winter blind camp at Camp Au Sable on Sunday, February 5. 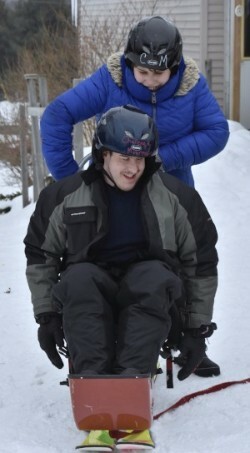 A highlight of the camp was two excursions to nearby Challenge Mountain, a facility specially designed to offer adaptive recreational activities such as downhill and cross-country skiing, snowmobiling, snowshoeing, and snowboarding. Additionally, campers were able to forge new friendships and rekindle old connections through social opportunities and shared experiences such as salt dough crafting, swimming, and group worships. This five-day winter camp was made possible through a cooperative arrangement between National Camps for Blind Children (NCBC), a program of Christian Record Services, Inc., and Michigan Conference's Adventist Community Services (ACS). ACS volunteers served at the camp in several capacities, including counselors, medical and kitchen staff, and pastors. "The Michigan Conference is grateful to Larry and Merna Hubbel, ACS volunteers and camp directors, for their hard work and dedication to the winter blind camp program and the campers this program serves," said Diana Bruch, Michigan Conference ACS director and winter camp coordinator. "ACS enjoyed partnering with Christian Record to provide fun and safe camp experiences for these individuals who are blind," she said. "Christian Record Services, Inc. and National Camps for Blind Children extend its gratitude to Michigan Conference for this winter camp partnership," said Diane Thurber, Christian Record president. "Through cooperative endeavors such as this, Christian Record and NCBC can minister to people who are blind," she said. Gear Up For Winter Camp! Christian Record Services, Inc. is excited to announce that winter blind camp will be at Camp Au Sable in Grayling, Michigan, February 5-10, 2017. This camp is for people, ages 9-65, who are blind or legally blind, defined as 20/200 vision with corrective lenses. To learn more and to register, contact Diana Bruch at 517-316-1500, or email dbruch@misda.org. Space is limited. Christian Record Services, Inc. hosted the fourth-annual EYE RUN on Sunday, October 2 at Holmes Lake Park in Lincoln, Nebraska. Each year, the EYE RUN offers opportunities for children, adults, and families to walk or run, discover healthy lifestyle choices, and learn about supportive services for individuals who are blind. 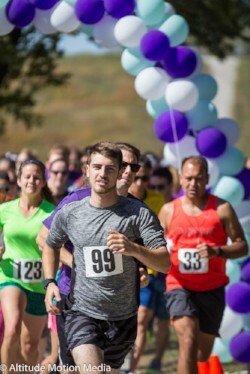 With a goal to reconnect with the Lincoln community to share a message of eye health awareness, the EYE RUN started as 5K4Vision EYE RUN in 2013 with 58 walk/run participants. The event has shown steady growth each year, with individuals walking or running the EYE RUN in Lincoln as well as locations globally as virtual participants. EYE RUN events included a one-mile walk/run, 5K walk/run, and 10K run. The total 2016 EYE RUN walker/runner count from all locations was 215. Among this number were participants from nine U.S. states as well as 22 members of the Gothenburg (Nebraska) Seventh-day Adventist Church, which hosted its own satellite EYE RUN. Any participant who is blind, along with his or her sighted guide, was given complimentary registration, courtesy of event sponsors. In addition to the walk/run at the Lincoln event, participants were encouraged to visit booths at the Healthy Lifestyle Choices Expo near the start/finish line. Local businesses and agencies that offer services to people who are blind were on hand at these informational booths with tips, activities, health screenings, and giveaways. The official bell ring honoree for the EYE RUN start was Topher Thompson, a member of the Christian Record Board of Directors and 2016 Wisconsin IRONMAN® finisher. “Having a vision for the future is what drives goals and guides the actions to make reaching those goals possible,” said Topher. “As I was honing those abilities to compete in an IRONMAN®, I also saw those attributes being expressed through the Christian Record team. It was an honor to serve as this year’s EYE RUN event start bell ringer,” he said. Midlands Printing & Business Forms, Inc. Proceeds from this annual event help fund Christian Record’s programs and services for people who are blind. Learn more about Christian Record Services, Inc.
Christian Record Services, Inc. is a ministry of compassion of the Seventh-day Adventist Church in North America to people who are blind. Christian Record offers braille, audio, and large print reading materials, including Bibles and Bible study guides, magazines, and a lending library. Additionally, National Camps for Blind Children, a Christian Record program, sponsors summer and winter camps in locations around North America. All services and programs are offered free of charge to individuals who are blind or incapable of holding reading material. Generous financial sponsor support enables Christian Record to provide these services and programs. 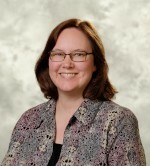 Christian Record Services, Inc. (dba Christian Record Services for the Blind) is pleased to welcome Andrea Ahrens as the organization's development director. A Lincoln native, Andrea received an MBA from the University of Maryland's Robert H. Smith School of Business. 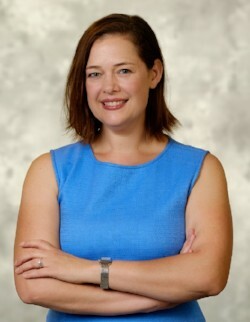 Upon moving back to Lincoln in 2010, Andrea was major gifts development director at Union College. 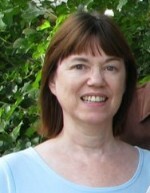 Andrea is married to Mike Ahrens and is the mother of three children. When asked why Christian Record is special to her, family memories were among her top reasons. "My mother has told me stories about the different kids she helped at winter camp. We actually have old 8-millimeter movies from the '80s of my mom skiing backward, leading a blind skier," she said. "Christian Record is a wonderful organization that has successfully helped thousands of people who are blind and their families," said Andrea. "Through programs that build self-esteem and resources that allow these individuals to read Bibles and other Chrisitan literature, Christian Record offers a full life continuum of compassion. I'm excited to be a part of this essential organization," she added. "Andrea brings valuable skills and experience to increase donor engagement and help advance the organization's goals," said Diane Thurber, president of Christian Record Services, Inc. "Her enthusiasm for the organization's mission to reach people who are blind is welcomed," she said.